Arik Air Ltd is a privately and wholly Nigerian owned commercial airline with a commitment to the people of Nigeria to deliver new standards in aviation. 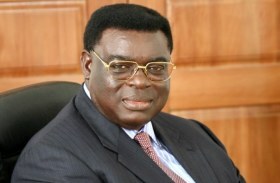 In 2002, with Nigeria Airways in liquidation, Arik Air's Chairman, Sir Joseph Arumemi-Ikhide (KSG, CON), decided to buy a Hawker jet aircraft. Colleagues and contacts in the gas and oil industry started using the Hawker jet to fly themselves around Nigeria. 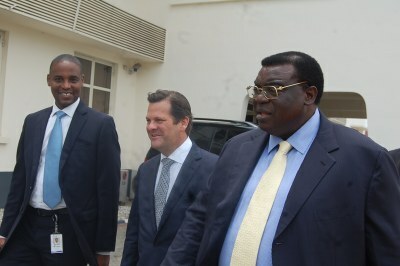 Arik Air Chairman, Sir Joseph Arumemi-Ikhide (Right) with Bombardier Aerospace President/Chief Executive Officer, Mr. Pierre Beaudoin (Middle) at Arik Air Aviation Center in Lagos. Arik Air and Cranfield University, United Kingdom, have entered into a partnership aimed at human capital development in the Nigerian carrier. Arik Air, has introduced a new payment option that allows customers to book a ticket online at the airlines website www.arikair.com and pay later using a number of different payment platforms. 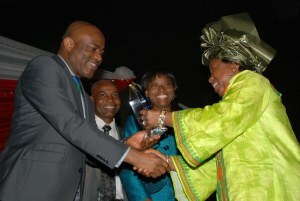 Arik Air has secured yet another award in recognition of its commitment to developing Nigeria/Sierra Leone relations. Arik Air, Bombardier Aerospace Seek to Expand Relationship Arik Air, West and Central Africas largest airline and Canadian aircraft manufacturer, Bombardier Aerospace are seeking ways of expanding their business relationship. Arik Air, West and Central Africa's largest airline has been adjudged the Best Security and Safety Conscious Airline in West and Central Africa for the second consecutive year. Nigerias Centenary Pageant is aimed at promoting the objectives of the 2014 Centenary celebrations marking the amalgamation of southern and northern Nigeria by Lord Lugard in 1914. Arik Air, Nigeria and West Africa/'s leading commercial airline has increased its fleet to 24 aircraft with the introduction of an Airbus A330-200 twin-engine aircraft. This latest addition to the fleet marks the first of four A330 aircraft due to be delivered over the coming year. Arik Air, West Africa and Central Africa/s leading airline, has introduced a new online check-in service to further boost its passenger experience. Arik Air, West Africa and Central Africa/s leading airline, has introduced a new online check-in service to further boost its passenger experience. 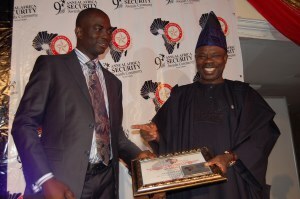 Arik Air has emerged as the Company of The Year 2012 at the Leadership Annual Conference and Awards ceremony held at the International Conference Centre Abuja on Tuesday, April 16, 2013. 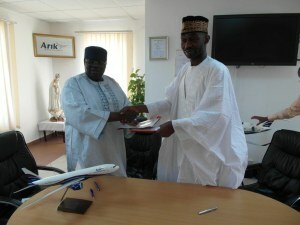 Arik Air and Emirate Touch Aviation Services Limited have signed a lease agreement for the airline's two Boeing 737-300 aircraft. GE Aviations long-standing partnership with Arik Air has fast tracked its expansion into a leading African airline company. This has enabled Arik Air to contribute to Nigerias economic growth and cement its role as an enabler of regional and international travel connectivity between Africa and the world. "Our partnership with GE has been the major factor in Arik Air's success where other Nigerian companies have failed. Funding to build an avaition company is not readily accessible in Nigeria. GE filled this critical gap and provided much needed finance and fuel-efficient GE engines that increase efficiency, have lower fuel consumption and reduced down times" - Chris Ndulue Arik Air MD and Excecutive Vice-President. Arik Air began scheduled flights from its hub in Lagos to the Angolan capital, Luanda on 13th December, 2011, becoming the first and only Nigerian carrier to operate scheduled flights between the two cities. The Lagos - Luanda route will be served with a Boeing 737-800 Next Generation aircraft. The 737-800 is a two class compartment and the configuration is 16 Business Class seats and 132 Economy Class. Business Class passengers can enjoy a 44 seat pitch, cradle style seat with 8.6 individual screens. Economy Class passengers will equally enjoy plenty of room on the 3h 10min flight with a seat pitch of 34. 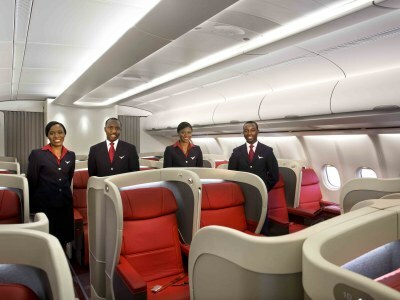 Arik Air is West Africa's leading airline operating a domestic, regional and international flight network. It operates mainly from two hubs at Murtala Mohammed International Airport, Lagos and Nnamdi Azikiwe International Airport, Abuja. Arik Air's head office is the Arik Air Aviation Center on the grounds of Murtala Muhammed International Airport in Ikeja, Lagos State. The Arik brand is synonymous with efficiency, customer-commitment, adherence to aviation polices & standards and an avant-garde in providing quality aviation services. We grow profitably and are financially responsible in all our dealings. To conduct our business with the highest level of integrity, business ethics and moral values.